Hickman’s emotive, soaring vocals and driving guitar is complemented by Cassidy’s i ngenious and virtuosic fiddling. 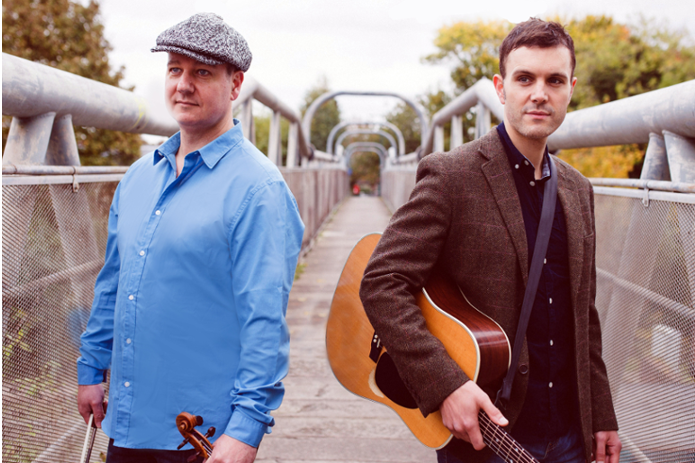 Their sound flows from the connection between British and American folk and is bursting with all the humour, heartbreak and excitement of these genres. The lively English wit of Hickman is set against Cassidy’s bone-dry irony and American drawl as they take audiences on a dynamic and unforgettable transatlantic journey.